October is National Domestic Violence Awareness Month and that makes it the perfect time for residents to get out and support one of the most valuable resources in battling domestic violence, the No to Abuse program. 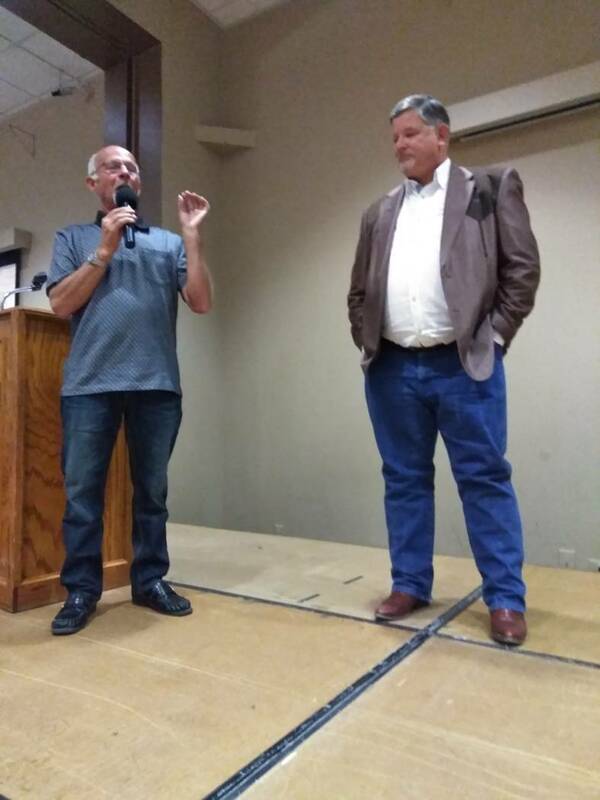 Selwyn Harris/Pahrump Valley Times Nevada District 36 Assemblyman James Oscarson generated $1,800 during the 2017 Nye County Celebrity Auction. 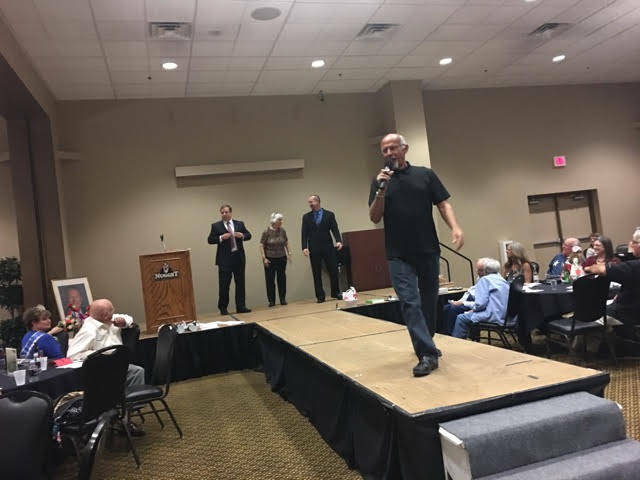 Special to the Pahrump Valley Times Auctioneer Ski Censke worked the crowd during the 2016 Nye County Celebrity Auction, strutting his stuff before a large crowd of locals out to support No to Abuse. On Saturday, Oct. 13, the Nevada Outreach Training Organization will host the Nye County Celebrity Auction, an annual event that draws the community together for an evening of fun and laughter, all in the name of a good cause. “Bring your neighbors, bring your friends and bid on your favorite celebrity!” a flyer for the fundraiser encouraged. Local celebrities are set to include Brian Strain, Deanna O’Donnell, Tom Laskowski, Sherri Cipollini, Leo Blundo, Ron Frazier, Nye County Sheriff Sharon Wehrly and many more. While bidding on the celebrities themselves, auction participants will also be bidding on the packages each of these well-known individuals has put together as well. In the past, auction packages have included dinners at local eateries, auto detailing and car maintenance packages and even a cruise through the skies in a private airplane. The auction will be conducted by professional auctioneer Ski Censke. There will also be a silent auction and snacks for the crowd to enjoy. All of the proceeds from the event will go to the Nevada Outreach Training Organization’s No to Abuse program, which serves victims of domestic violence, sexual assault, trafficking, stalking and teen dating violence. The Nye County Celebrity Auction will kick off at 5 p.m. on Saturday, Oct. 13 with no-host cocktails, with the auction action scheduled to begin at 6 p.m. The event will take place inside the Pahrump Nugget Hotel and Casino Events Center. Admission is $10 per person. For more information call 775-751-1118.